Decollage Institute Uplifting Anti Wrinkle Serum Review : Ingredients, Side Effects, Detailed Review And More. This product is brought to you by Decollage Institute. However other than this information, there is no available track record to establish this company’s history in formulating and distributing skin care products. Also the brand is not very popular in skin care industry. Decollage Institute Uplifting Serum, approximately US $100, is an anti-aging serum product that delivers multiple benefits that help restore your youthful skin. This product is available via a limited time free trial offer where you are initially obliged to pay only for product shipment and handling which will approximately cost US $5 only, and be charged the full amount after the trial period has elapsed. Decollage Leva — Does It Really Work? Improve your skin’s nutrient levels to make it better capable of enhancing its functions associated with rejuvenating and renewing your skin. 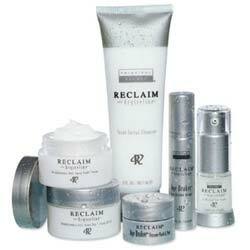 Replenish your skin’s lost moisture back to optimal levels to support better hydration and enhanced skin texture. Promote lightening of dark marks and hyper pigmentation while brightening your overall complexion. 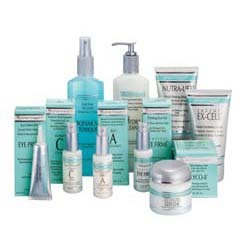 Enhance cellular level processes to help your skin better cope with and get ahead of the rate of skin aging and damage. What Are The Ingredients In Decollage Leva? Natural Plant Extracts: Replenish your skin’s lost nutrients and moisture, it helps up your skin’s overall health and youthful appearance, while simultaneously boosting your skin’s antioxidant protection to make your skin more resilient to damage and aging. Tripeptides: Help make up for the dwindling production of naturally produced peptides which is a normal occurrence as you age, supporting your skin’s natural mechanisms for repair and rejuvenation. Decollage Leva must be used after cleansing and toning. Decollage Institute Uplifting Serum is offered on a limited time free trial offer where you pay a minimal amount to test the product on your skin and see how it responds. 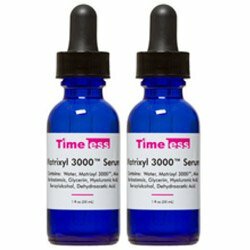 This product has been claimed to provide multiple benefits suited for aging and mature skin but not having much positive customer reviews. There is neither an available official manufacturer nor product website where firsthand information about this product may be drawn or where information shared by third parties may be validated. This product is unjustifiably priced, given the lack of a full list of ingredients and a severely limited availability of product information even from third-party websites. Decollage Leva reviews include several negative reports on the Better Business Bureau (BBB) for which the company earned 1-star rating. Does Decollage Leva Have Any Side Effects? In the absence of a full disclosure of product ingredients and limited reviews, expect side effects to be highly likely when you decide to use Decollage Institute Uplifting Serum. Make sure to perform a patch test to check for any adverse reaction you may have against the formula. 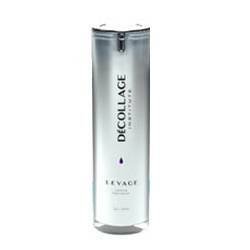 Decollage Institute Uplifting Serum appears to have a well-rounded formulation that addresses key issues of people with aging and mature skin. However, upon closer look, there really isn’t any reliable information being shared around about this product.